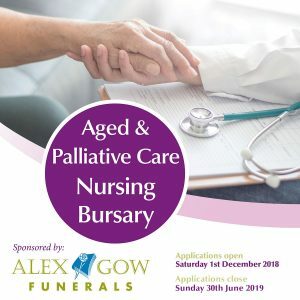 Alex Gow Funerals has always had a strong sense of community believing that it is essential to give something back and improve the lives of others. 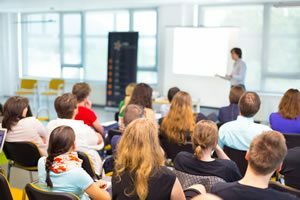 Alex Gow Funerals’ community educator, Mark Lowry offers courses and workshops for caregivers to better understand and deal with death, understanding the purpose of funerals and giving advice on grief and bereavement. Read more about Mark. 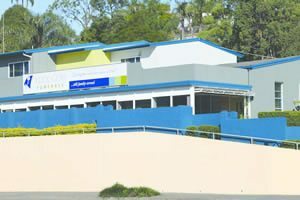 Tours of our funeral home at Newstead are offered to anyone interested in understanding more about the funeral process and learning how funerals are so important in the total ‘end of life’ journey. 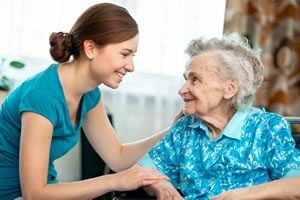 These sessions are ideal for nurses and aged care workers including students, so they can see what happens with their patients once they have passed and are no longer at the hospital/nursing home. It also gives them a more holistic overview of the complete care process. For the general public, the tours can assist is realising the quality of care available and explore the many options available in pre-arranging a funeral. For more information, please contact us. 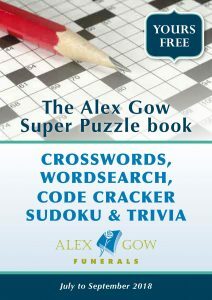 Alex Gow Funerals produce quarterly free puzzle books that include loads of fun and brain exercises like Crosswords, Sudoku, Word Search, Code Cracker, Adult Colouring-in and good old Aussie Trivia. And every month you have a chance to win a $100 Coles voucher. Available through local retirement villages or downloadable here. 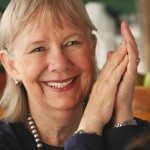 Alex Gow provides a number of bursary options for those seeking a little financial assistance to further their education in aged-care and/or palliative care. These can assist nurses, chaplains, social workers and care givers. See more information. 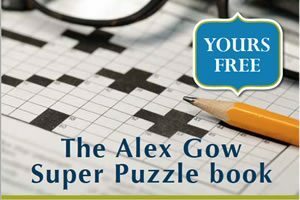 Alex Gow Funerals employ a lady who visits nursing homes and runs exercise classes with our senior citizens. Afterwards she is always there for coffee and a chat, helping boost spirits. For more information, please contact us. 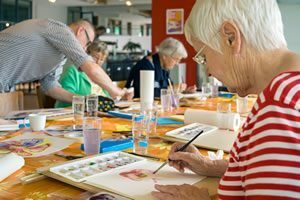 Alex Gows’ community educator, Mark Lowry also offers fun art courses to nursing home and retirement village residents. The 60-90 minute workshops cater for 10-15 people and are all-inclusive and lots of fun. 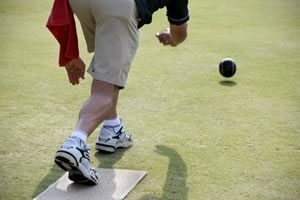 We currently sponsor approximately 60 lawn bowls clubs in South East Queensland. Our staff attend many competition days and provide bowlers with valuable information. 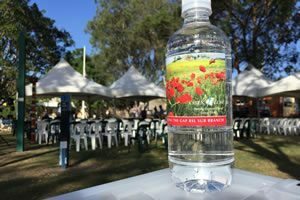 Each year Alex Gow Funerals provides hundreds of bottles of cold water to our veterans and their families attending The Gap RSL commemorative Anzac Dave service. Staff hold regular stalls for Community Days at a number of RSL and Sports clubs around Brisbane, Logan, Redlands and Moreton Bay regions. We also give a discount to the members of these groups through their various “Friends with Benefits” Clubs. 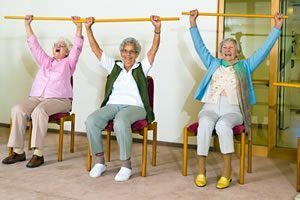 Some staff volunteer in nursing homes on a weekly basis assisting seniors with general movement activities.